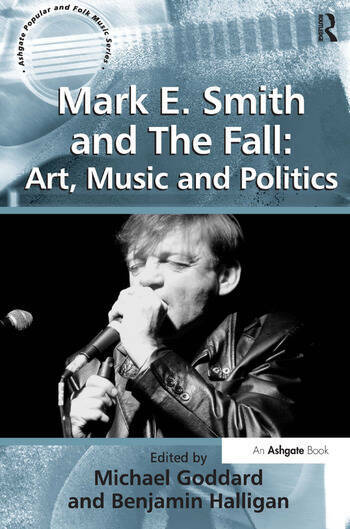 This volume offers a comprehensive range of approaches to the work of Mark E. Smith and his band The Fall in relation to music, art and politics. Mark E. Smith remains one of the most divisive and idiosyncratic figures in popular music after a recording career with The Fall that spans thirty years. Although The Fall were originally associated with the contemporaneous punk explosion, from the beginning they pursued a highly original vision of what was possible in the sphere of popular music. While other punk bands burned out after a few years, only to then reform decades later as their own cover bands, The Fall continue to evolve while retaining a remarkable consistency, even with the frequent line-up changes that soon left Mark E. Smith as the only permanent member of the group. The key aspect of the group that this volume explores is the invariably creative, unfailingly critical and often antagonistic relations that characterize both the internal dynamics of the group and the group's position in the pop cultural surroundings. The Fall's ambiguous position in the unfolding histories of British popular music and therefore in the new heritage industries of popular culture in the UK, from post-punk to anti-Thatcher politics, to the 'Factory fiction of Manchester' and on into Mark E. Smith's current role as ageing enfant terrible of rock, illustrates the uneasy relationship between the band, their critical commentators and the historians of popular music. This volume engages directly with this critical ambiguity. With a diverse range of approaches to The Fall, this volume opens up new possibilities for writing about contemporary music beyond traditional approaches grounded in the sociology of music, Cultural Studies and music journalism - an aim which is reflected in the variety of provocative critical approaches and writing styles that make up the volume. Contents: Introduction: 'messing up the paintwork', Michael Goddard and Benjamin Halligan; Part I The Fall and 'The North': Building up a band: music for a second city, Richard Witts; The Fall: a Manchester band?, Katie Hannon; Salford drift: a psychogeography of The Fall, Mark Goodall. Part II Techniques and Tactics of The Fall: 'Rebellious jukebox': The Fall and the war against conformity, Andy Wood; 'I curse your preoccupation with your record collection': The Fall on vinyl 1978-83, Richard Osborne; 'Dictaphonics': acoustics and primitive recording in the music of The Fall, Robert Walker; 'Let me tell you about scientific management': The Fall, the factory and the disciplined worker, Owen Hatherley. Part III The Aesthetics of The Fall: 'Memorex for the krakens': The Fall's pulp modernism, Mark Fisher; Language scraps: Mark E. Smith's handwriting and the typography of The Fall, Paul Wilson; 'Humbled on Iceland': on improvisation during The Fall, Robin Purves; The Fall, Mark E. Smith and 'the stranger': ambiguity, objectivity and the transformative power of a band from elsewhere, Martin Myers. Part IV The Fall, the Media and Cultural politics: 'The sound of The Fall, the truth of this movement of error': a true companion, an ambivalent friendship, an ethic of truths, Angus McDonald; 'I think it's over now': The Fall, John Peel, popular music and radio, Paul Long; In search of cultural politics in a Fall fanzine, Chris Atton; 'As if we didn't know who he was': Mark E. Smith's untimeliness, Janice Kearns and Dean Lockwood; Bibliography; Select discography of The Fall; Index. Michael Goddard is Lecturer in Media Studies, and Benjamin Halligan is Director of the Graduate School, both in the School of Media, Music and Performance at the University of Salford, UK.